get the public method list of context node class with naming convention that method name starts with GET_, and have one importing parameter ATTRIBUTE_PATH and one returning parameter VALUE. 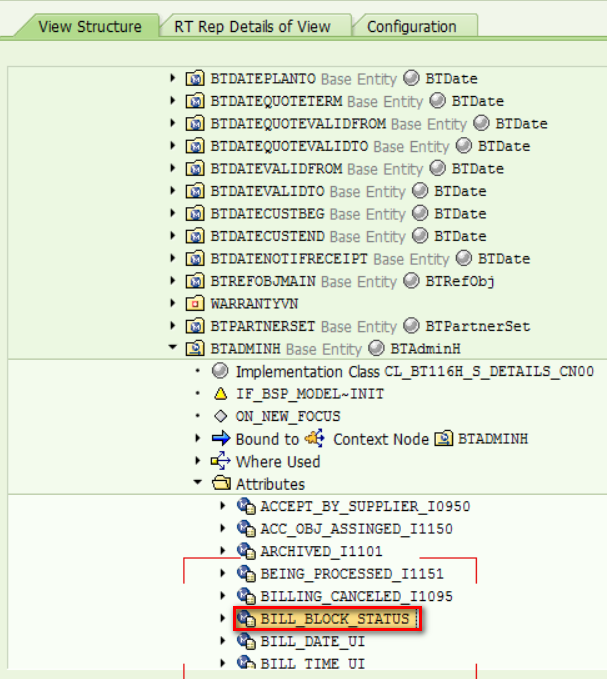 And then extract the attribute name and stored it to internal table lt_direct_attribute. 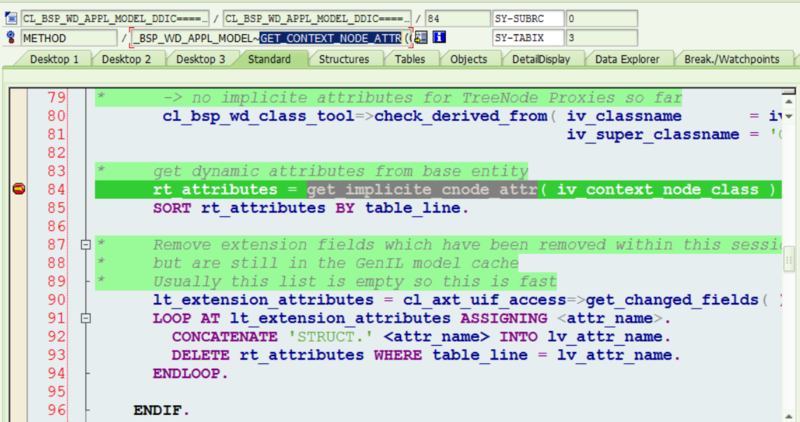 Once the direct attribute of the current context node class has been extracted, there is a recursive call with the same extraction logic on the super class. 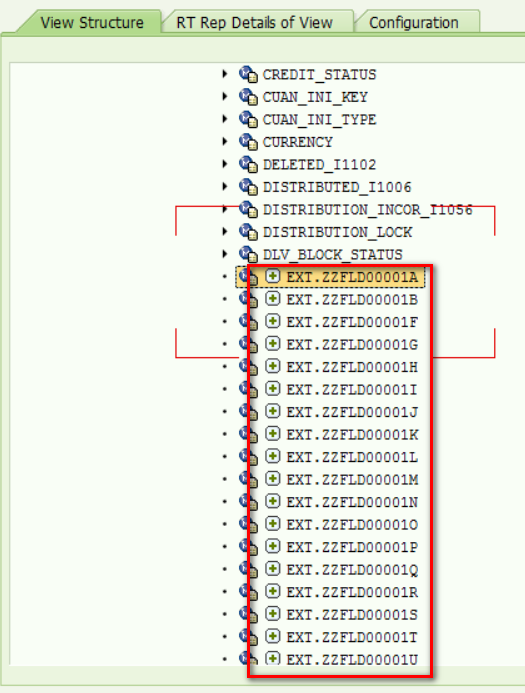 Attributes defined in DDIC structure CRMST_ADMINH_BTIL are regarded as implicit attribute. This structure is bound to context node BTAdminH in Genil model editor. 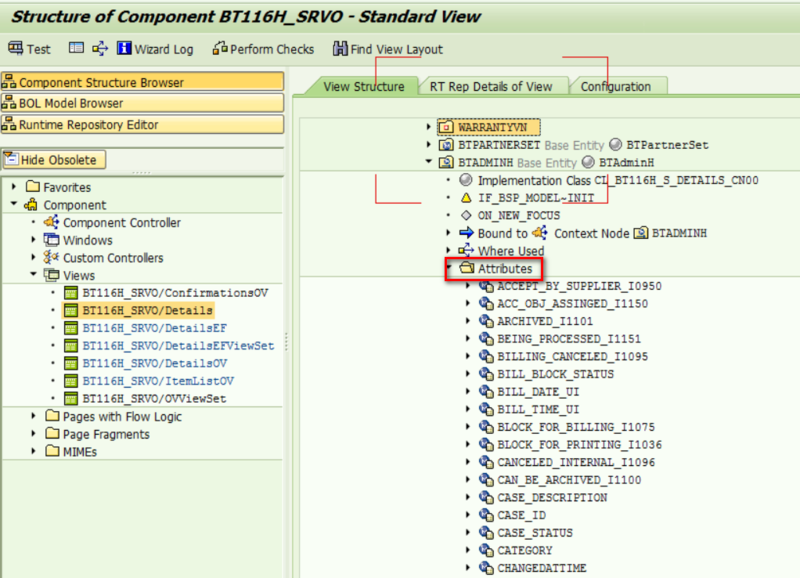 cs   TYPE string OBLIGATORY DEFAULT 'CL_BT116H_S_DETAILS_CN00'. LOOP AT lt_attr ASSIGNING FIELD-SYMBOL(<attr>).